Monet felt more liberated to experiment with technique ­ to use larger canvases and rely less on constantly checking a motif ­ because, in his garden, he could control nature. 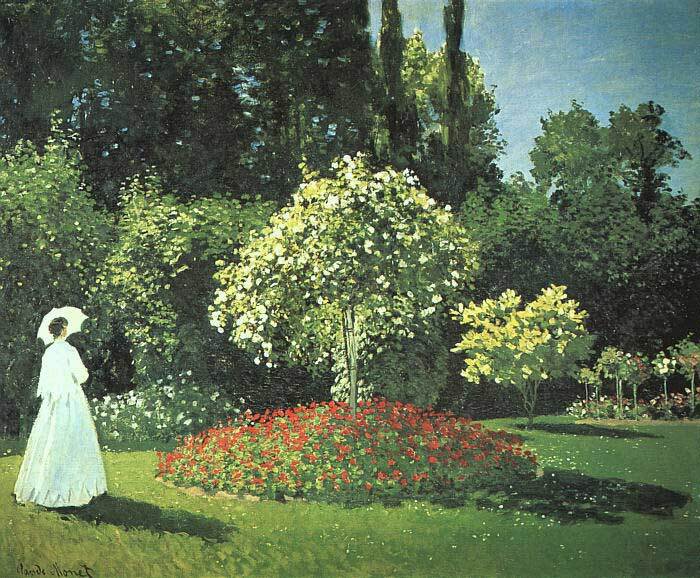 Here, a motif was not the result of an accident but, rather, the result of deliberate organization: Monet designed the flower beds and coordinated the colors - Jeanne-Marguerite Lecadre in the Garden, 1866. SPECIAL NOTE : The painter will make the reproduction as close to the original oil painting as possible. If you want your painting to alter from this likeness, please email us and " Jeanne-Marguerite Lecadre in the Garden, 1866 " will be reproduced according to your special requirements.